BERLIN -- Daimler has been accused of selling more than a million cars with excessive emissions in Europe and the U.S., the Sueddeutsche Zeitung newspaper said, citing a search warrant issued by a Stuttgart court. Two months ago Stuttgart prosecutors searched Daimler sites in Germany following allegations of false advertising and the possible wrongful manipulation of exhaust gas treatment systems in diesel cars. The Stuttgart court's search warrant triggered the searches on May 23, the Sueddeutsche Zeitung said on Wednesday. According to that document, more than 1 million cars with excessive emissions, including various luxury Mercedes-Benz models, were sold in Europe and the U.S. between 2008 and 2016, said the Sueddeutsche Zeitung, which researched the matter with regional broadcasters WDR and NDR. 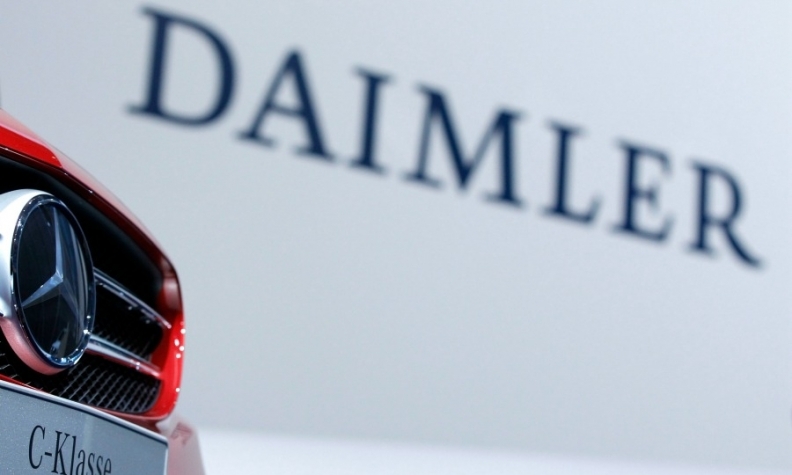 A Daimler spokesman declined to comment on the continuing investigation by local prosecutors, adding the carmaker was fully cooperating with the authorities. The cars in question are powered by engines code-named OM 642 and OM 651, with prosecutors examining the possible use of defeat devices to manipulate emission levels during tests, the newspaper said. There is a risk that the vehicles affected in Europe could be banned in the region, the newspaper said, again citing the search warrant. The Daimler spokesman declined to comment on the report, describing it as "speculation," apart from saying the company did not see any danger of its cars being banned. A spokesman for Stuttgart prosecutors declined to comment while Germany's transport ministry couldn't be reached for comment. Carmakers across the globe have faced increased regulatory scrutiny over anti-pollution tests since Volkswagen Group admitted in September 2015 that it had installed secret software in its diesel cars in the U.S. and elsewhere to cheat nitrogen oxide emission tests. Ilona Wissenbach and Birgit Mittwollen contributed to this report.